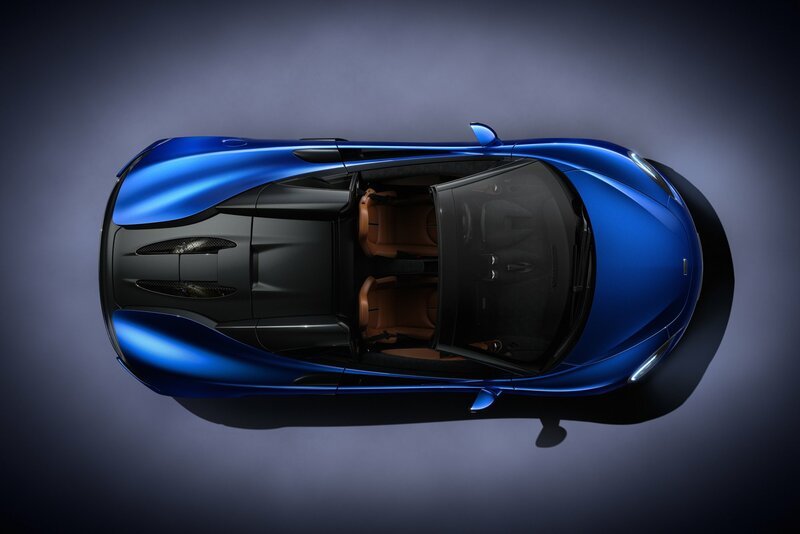 For a lot of petrolheads, summer means one thing: dropping the top and going for an alfresco blast. Normally though, the convertible cousins of hardtop sports cars just aren’t as good as their fixed-head brethren. 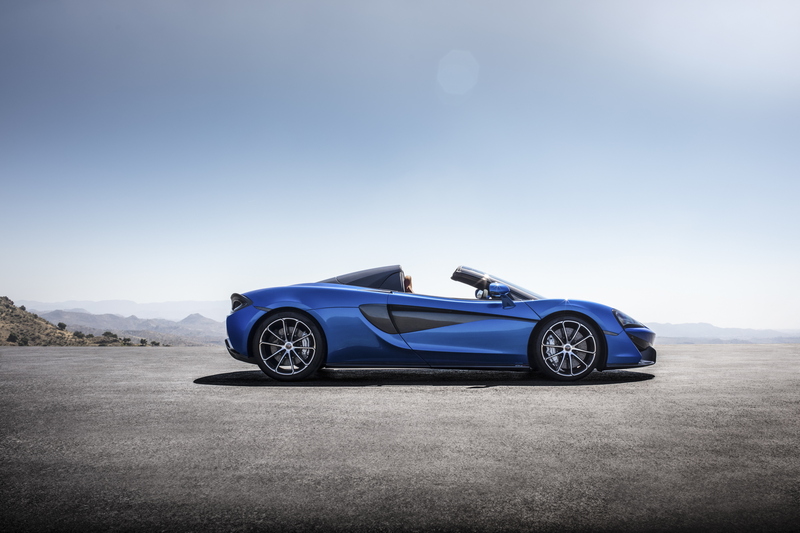 McLaren, however, is hoping to be the exception to this rule with its newly unveiled 570S Spider. 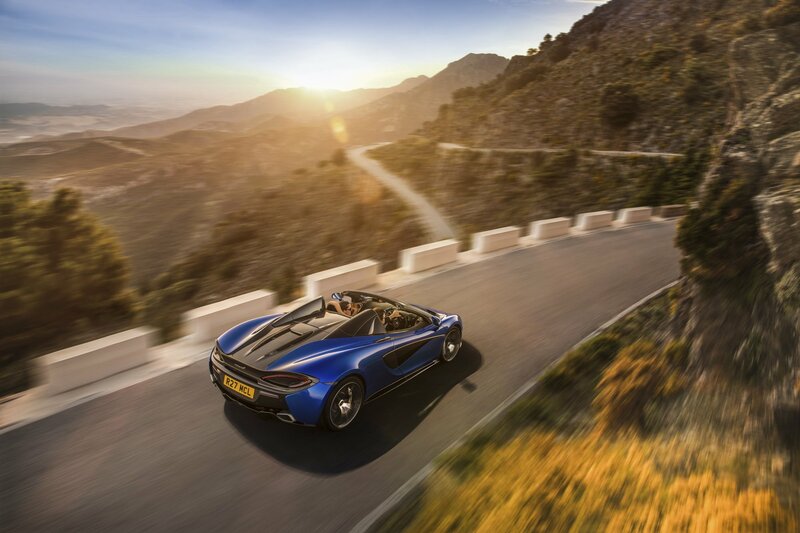 With the roof up, the new 570S Spider has an identical 0-62mph sprint and top speed as the Coupe (3.2 seconds and 204mph, in case you didn’t know) and the terminal velocity only drops by 8mph when you decide to expose your barnet to the elements. 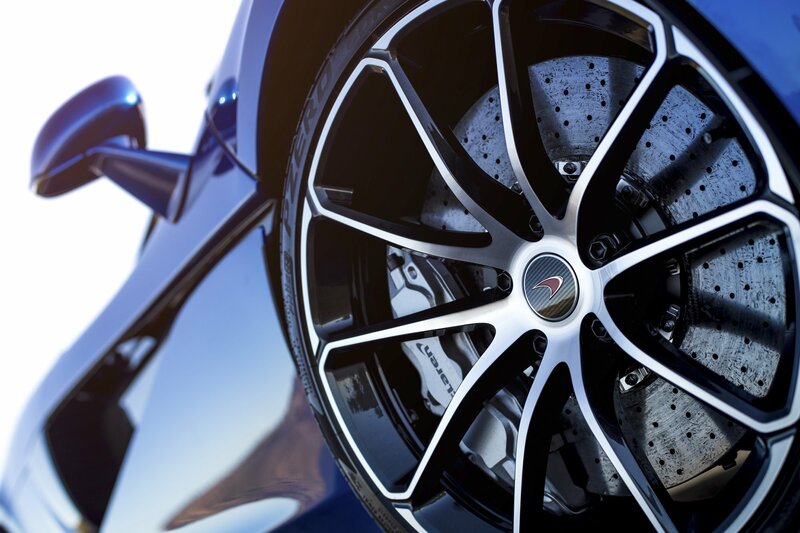 The 570S’s retractable hardtop uses similar technology to the 650S and 675LT Spider, with the two-piece design – constructed from lightweight composites – only adding an extra 46kg to the mini supercar’s kerb weight. This means the drop-top Macca is one of the best among its rivals in terms of power-to-weight ratio, with 570hp and 1,498kg combining to provide 381hp-per-tonne. That’s nearly ten per cent more than a Porsche 911 Turbo S Cabriolet. The roof itself opens or closes in just 15 seconds (and can be done at speeds up to 25mph), while a glazed wind deflector can also be deployed to reduce buffeting and wind roar. With this added cabin serenity, you’re left free to enjoy the unfiltered noise of the 3.8-litre, twin turbo V8 (especially if you opt for the optional sports system, which channels exhaust noise into the cabin via a duct beneath the tonneau cover. 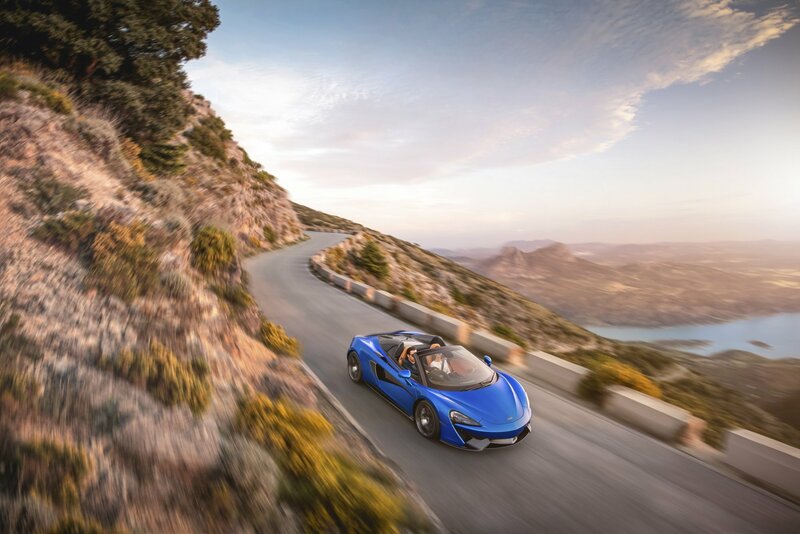 What’s more, thanks to McLaren’s now-famous carbon fibre ‘MonoCell’ chassis design, removing the 570S’s roof hasn’t led to any reduction in chassis rigidity. In other words, it’s likely to be just as good through the twisty stuff. Aesthetically, the Spider features a new rear spoiler – finished in ‘Dark Palladium grey’ – sitting 12mm higher than the Coupe’s wing to ensure that the aerodynamic balance isn’t upset by the drop-top design. Three new exterior colours have joined the 570S line-up for the Spider too: Curacao Blue, Vega Blue and Sicillian Yellow. 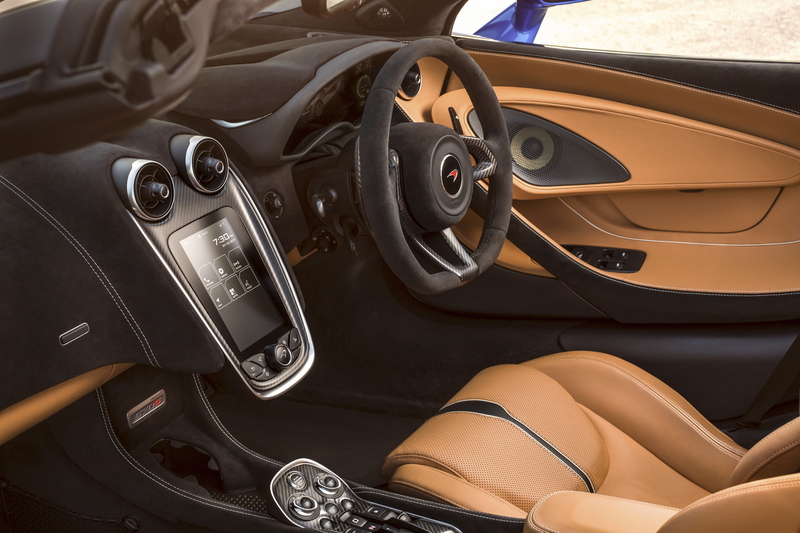 They hardly match the understated (and sometimes even demure image) that McLaren is known for. There’s also a new 10-spoke, forged alloy wheel design (19 inches on the front, 20 at the rear) and special ‘Liquid Black’ brake calipers, while inside the Coupe’s outstanding mix of either Nappa leather or Alcantara and carbon fibre remains untouched, including the TFT instrument cluster and 7-inch IRIS infotainment touchscreen. 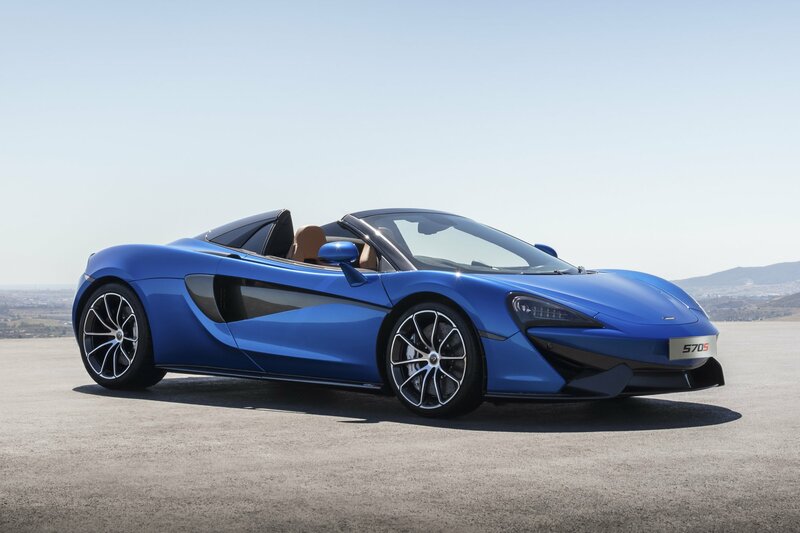 With orders open now (the first 400 will be built as ‘Launch Editions’), the new McLaren 570S Spider perhaps be our ideal summer ride. If you want to make it yours, you’ll need upwards of £164,750.